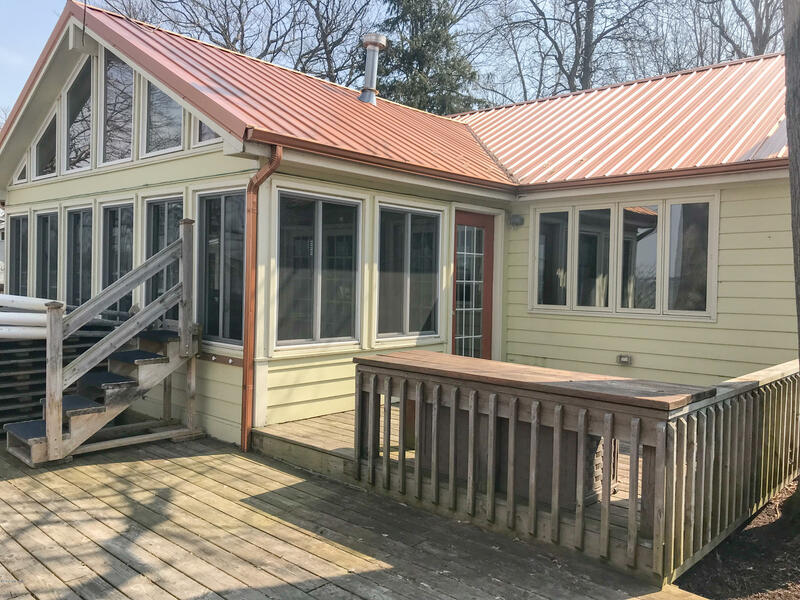 COLDWATER LAKE: This charming bungalow-style cottage with attached guest house, 44 ft of prime lake frontage overlooking the lake offers an outstanding setting, sandy beach & brilliant sunsets. Relax & enjoy lake living in the spacious sun room with abundant windows & cathedral ceiling. Updated & remodeled with newer appliances, carpet & 2 new water heaters, metal roof, downspouts & gutters. The brick patio & 3 decks are perfect for entertaining family & friends while the guest house provides 2bedrooms, living area & bath for overflow guests. This property sleeps many! There is incredible landscaping, flowers & flower boxes, separate flower water underground sprinkling systems. The dock & sun deck are included. A terrific lake value!!!! This company makes no warranty or representations about the contents of this data. It is the responsibility of the parties looking at the property to satisfy themselves as to the accuracy of this information. Taxes were obtained from the local assessor and the taxes could change for the buyer after a closed transaction.